Our customers keep telling us we’re different - and they like it! That’s why we’re called Maverick - we’re a used car dealership that doesn’t act like one. If you’re looking for a used car in Boise, come enjoy the difference. We’re challenging the car dealer stereotype every day - and we love it! 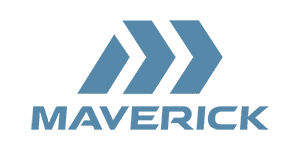 At Maverick Car Company, we’re dedicated to providing you with a streamlined experience that makes car buying and ownership enjoyable. We’re blazing a new trail for used car dealerships by offering innovative services like consignment and auto repair services. If you’re searching for reliable used cars for sale in Boise, ID, look no further than Maverick Car Company. We offer a wide selection of quality vehicles from Toyota, Jeep, Honda, and Subaru that are equipped with the cabin comforts, performance capabilities, and safety systems you’re looking for. After you find a vehicle that suits your lifestyle, we provide flexible finance options to help you feel more confident when you sign on the dotted line and cruise away. When you need a routine oil change, tire rotation, and more, schedule an appointment with the expert mechanics in our auto service center. Looking to sell your car? Consign your car with us and receive the best value, without the hassle of selling the car on your own. Contact us today to learn more about our quality used cars in Boise, ID. Whether you have great credit, a less than stellar credit rating or have never had a loan and don't have any established credit, Maverick Car Company invites you to apply for financing at our used car dealership in Boise, ID. Fill out our convenient online credit application now! Here on our website, you can not only apply for used car loans before your visit, but also utilize our loan calculator to get an idea of what type of vehicle your budget affords you. Talk to our helpful finance staff when any questions arise! With car consignment from Maverick, Boise, ID area drivers can obtain private party value for their vehicles but with the ease of trading in a vehicle. Our convenient consignment service features no fees or out-of-pocket expenses and lets you avoid the hassles of selling a car privately. Say goodbye to tire-kickers, low-ballers and scammers and say hello to private party value for your vehicle when you drop off your car here at Maverick Car Company. We'll take care of the rest; then, you'll just have to pick up your check once your car is sold! We welcome Boise, ID area drivers to our new service facility, where our highly skilled and trained technicians are eager to maintain your vehicle at an affordable price. We are first and foremost a pre-owned car dealership, which means our service team is here to ensure every vehicle we offer for sale is in pristine condition. We are focused on providing not only competitively-priced vehicles for sale, but also highly affordable auto maintenance when the time comes for your vehicle's oil change or service appointment. Our service rates are low as we want to make your vehicle ownership experience an affordable one! When you visit Maverick Car Company, you are sure to notice that we are different than other used car dealers, and that all starts with our team! Our friendly staff provide that personal connection that is often missing when shopping for a vehicle. Our mission is to create a used car dealership unlike any other, and our staff is focused on that goal by providing a tailored shopping experience for every customer that stops by our dealership or contacts us. Reach out to our team today!